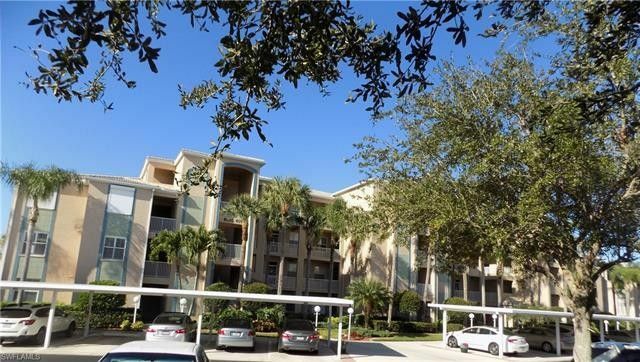 You will love this well maintained and pristine clean 2 bed - 2 bath Brookside model condo in the beautiful, gated community of Heritage Cove, the area's premier 55+ community. This unit is TURNKEY FURNISHED and very well appointed. It includes $10K worth of Rollsafe Hurricane shutters covering all windows, AC and Hot Water Heater replaced in 2012, newer Refrigerator, great paint scheme, crown molding, and facing our gorgeous sunsets! Heritage Cove is quiet, warm, and friendly, with 55 acres of lakes, walking paths, wild life everywhere, low fees, and conveniently located in South Fort Myers near everything you need for great southern living. Airports, beaches, shopping, theaters, restaurants, entertainment venues...anything for just about everyone. It is PET FRIENDLY, and offers a wide array of activities and amenities...Tennis, Bocce Ball, Shuffleboard, Bingo, Dances, Pitch-Ins, and has an on-site property manager. There are Golf Groups, Bowling, Women's Club, a great clubhouse, a resort style pool / spa, media room, workout room, billiards and so much more. This condo and community is a must see. Call or text today for your private showing.